I Have the Power is a 1985 Masters of the Universe children’s book written by Bryce Knorr and illustrated by Harry J. Quinn and James Holloway. 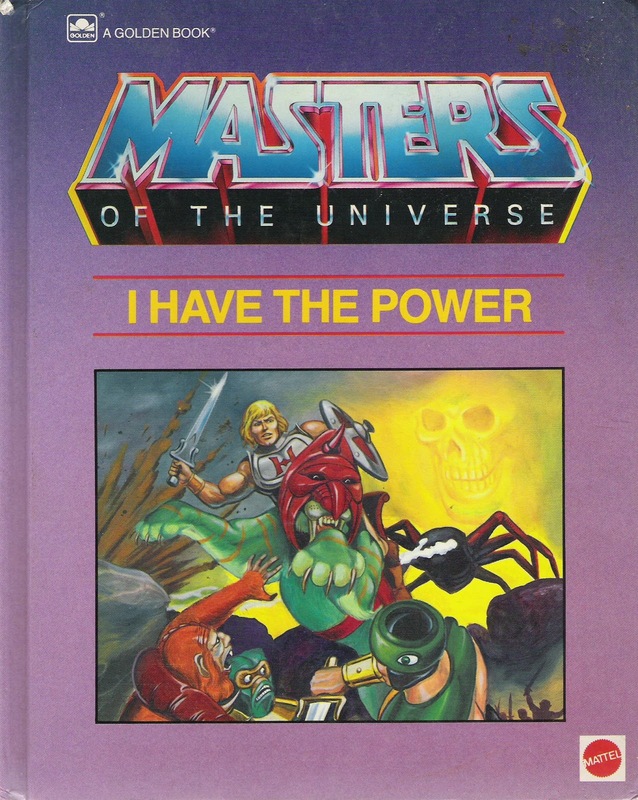 Here, Skeletor creates a giant mechanical spider, attacks the palace, defeats He-Man, and captures the Power Sword. Wow, Skeletor’s really got it together here, to a very satisfying degree – that usually means his defeat at the end is going to be super-cheap. And that’s something of the case here, as the story turns on a number of non-canon sword-related plot shenanigans – well, that plus Prince Adam using a guitar to fire an arrow with precision accuracy. In contrast to the Filmation cartoon, here, without the Power Sword, He-Man automatically turns back into Prince Adam after a short while. Here, only Prince Adam can hold the sword without injury. Here, the Sorceress can power and depower the sword at will. It works well enough, though, even if these story elements are just made up on the spot. We also get non-canon (but perfectly workable) origins for Spydor and Sy-Klone, as well as Prince Adam reminiscing about how he got the Power Sword in the first place (this flashback more or less follows Michael Halperin’s series bible). The whole thing feels like it would have fit in pretty well as a cartoon episode, sword-nanigans aside. The art is, overall, adequate, although the quality varies substantially from page to page, as in the other books in this series. There’s no accounting for the cover, though, as the Battle Armor is nowhere to be found anywhere inside, nor is Tri-Klops. On the whole, the liberties I Have the Power takes are forgivable based on what Knorr does with them, and the book is perfectly entertaining.